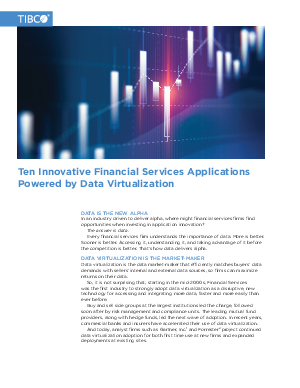 In an industry driven to deliver alpha, where might financial services firms find opportunities when investing in application innovation? Every financial services firm understands the importance of data. More is better. Sooner is better. Accessing it, understanding it, and taking advantage of it before the competition is better. That’s how data delivers alpha.